Isaac Asimov (1920-1992) was a prolific American author best known for his hundreds of works of science fiction, including "Nightfall" (often cited as the best science fiction short story), the Foundation series, and for creating the "Three Laws of Robotics." Asimov wrote widely on many topics, including popular science books which attracted a wide audience. Born in Russia, his family emigrated to the United States when Asimov was three years old. 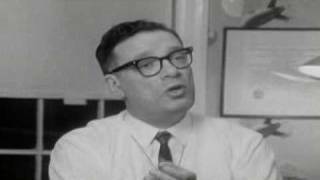 Asimov received his PhD in biochemistry from Columbia University and became a professor of biochemistry at Boston University School of Medicine. Asimov received numerous awards for his writing, including multiply Hugos and Nebulas.